For my birthday weekend, my boyfriend and I made a trip to Chicago and Toronto. He had previously visited both cities, but it was my first time! 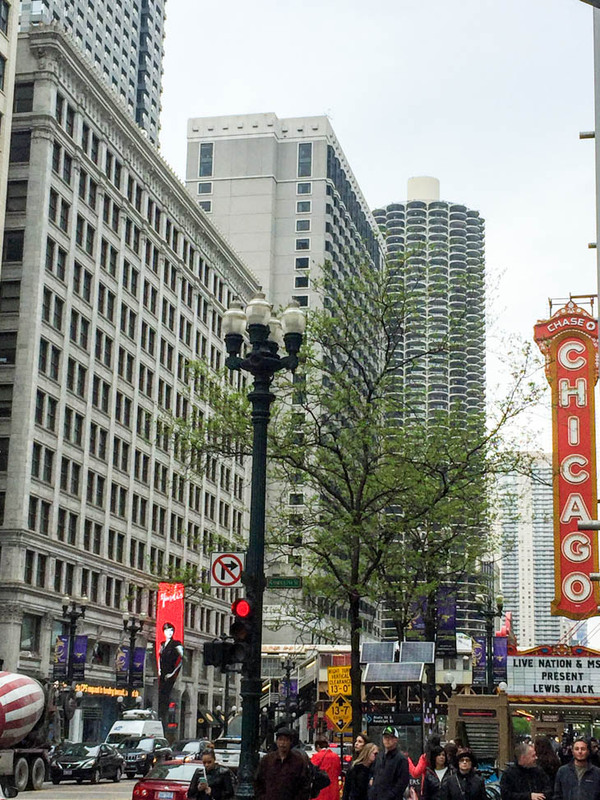 We stayed at the Aloft Chicago City Center in the River North neighborhood downtown. For an affordable price, we were very pleased with the modern rooms, professional service, general hotel vibe, and most of all, location. It was walking distance to numerous main attractions and central to other popular neighborhoods. On the ground level of the hotel was Beatrix, a modern “healthy meets delicious” neighborhood coffeehouse, restaurant and bar. We went here for breakfast and loved the quinoa cakes with poached eggs and tomato basil sauce – a perfect meal to start the day! We later returned one night for a cocktail at the bar, specifically the Blueberry Vodka Collins. So good! I’d recommend this spot to anyone, whether you’re staying at the hotel or not. For my birthday brunch, I chose this funky European restaurant without a clue of what to expect. It turned out to be awesome! To drink, I went all out and treated myself to the mimosa flight with pomegranate, passion fruit and blood orange. I loved them all and had a nice buzz after to kickstart a fun day. 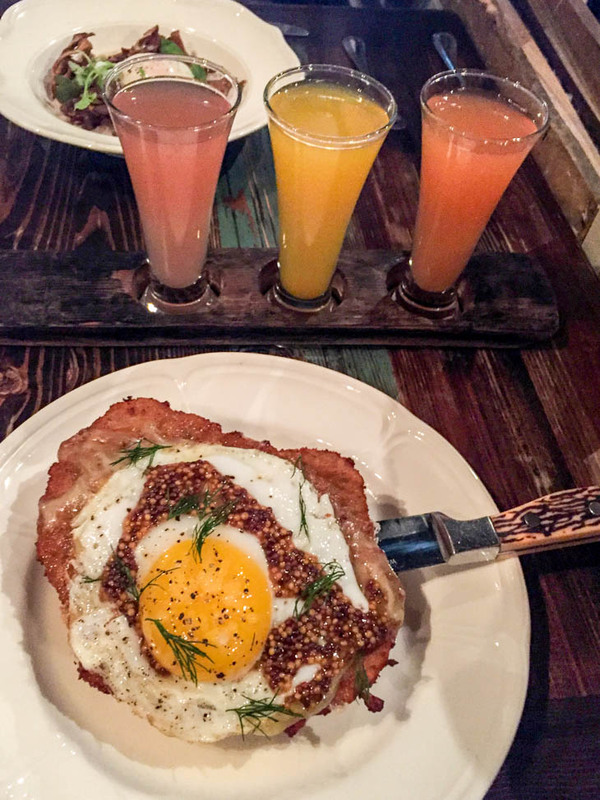 To eat, I ordered the Open-Faced Pork Schnitzel Sandwich with sauerkraut and horseradish cream topped with a fried duck egg (*note: now hen egg). It was massive in portion and would have been enough to feed at least two people. From the small dent I did make, it was delicious and such a unique combination. I always appreciate something different! I’d love to return for dinner sometime. *Editor’s note: Unfortunately, Bohemian House has closed it’s doors. 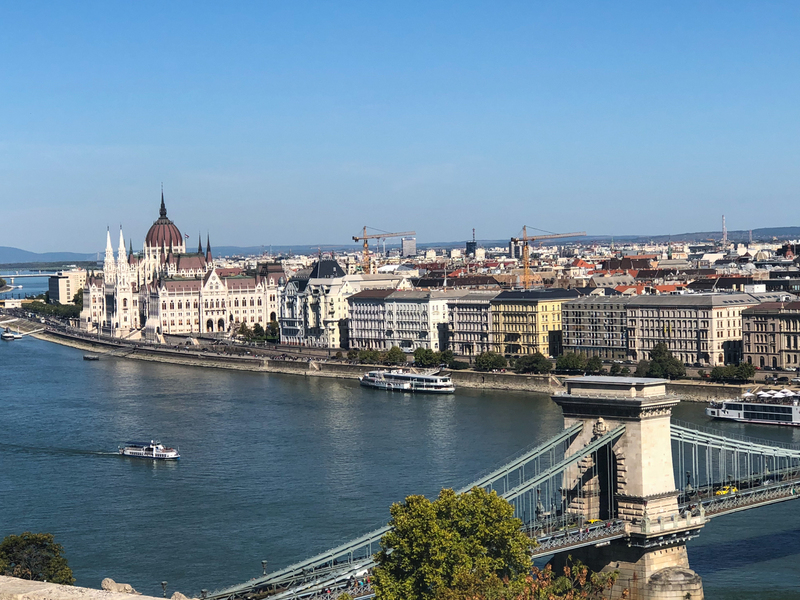 While planning this trip, it seemed as though everyone recommend taking an architecture boat tour. Through much research, I found this line to be very highly rated and therefore the best choice. Unfortunately, the weather turned out to be very cold and rainy for the majority of our visit, including the time of our cruise tickets. They operate rain or shine given the large indoor area, filled with tables, chairs, a bar and large windows all around. The key learning here is to book very close to the day you plan to go. If there is a chance of rainy or cold weather, I personally would not recommend it for the $110 price tag for 2 people. We found the uncovered upper deck unbearable in these weather conditions, and the windows downstairs kind of dirty (hence no pictures from the boat). Not to mention, there’s only so much space for people to crowd around a window close enough to be able to look up at the buildings. The narrator was speaking from the upper outdoor deck under a small covered area, and it was difficult to hear him clearly through the speakers from the downstairs indoor area (where 99% of the people were). To be completely transparent, we got very bored in those 90 minutes. I don’t want to turn anyone away based on our negative experience because I’ve heard so many great things about it, but I hope you take away our learnings. Also highly recommended prior to our trip was this lively wine bar serving small plates and house-cured meats. We ordered the bone marrow, pork tongue and a cheese board. I really appreciated the condiments that they paired with everything. 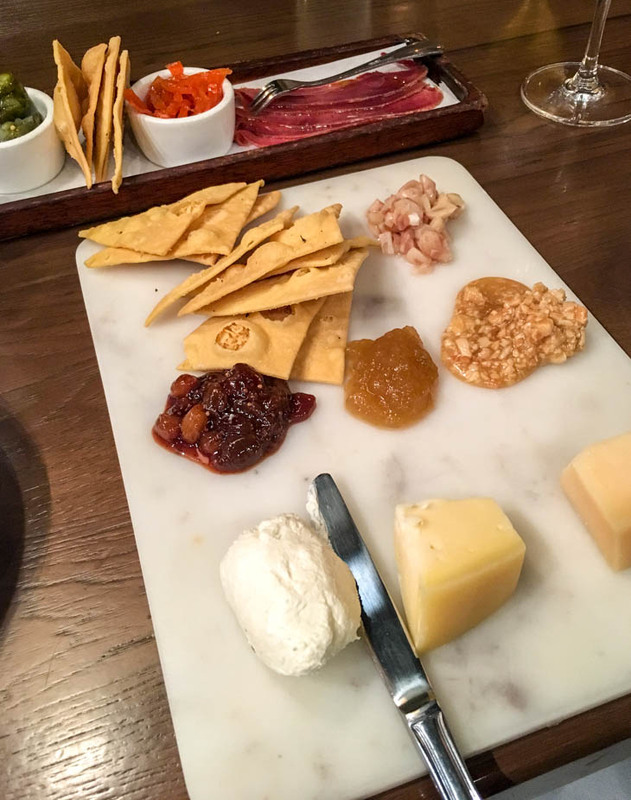 It reminds me of how my mom does a cheese and charcuterie board! The wine list was very extensive, yet our server knew exactly which one to recommend. It was packed the entire time we were there. We were lucky to not have to wait! It wouldn’t be a Chicago food tour without a famous Chicago dog and deep dish pizza! I have never had any version of a “Chicago dog” nor am I a big fan of hot dogs. At Portillo’s, we got a few different menu items they are most known for and split it. I was pleasantly surprised by their full of flavor dogs, authentic Italian beef sandwich and indulgent chocolate cake shake. Thank goodness for so much walking this trip!!! *Note, I went to a location in the suburbs of Chicago while visiting a good friend of my boyfriend. 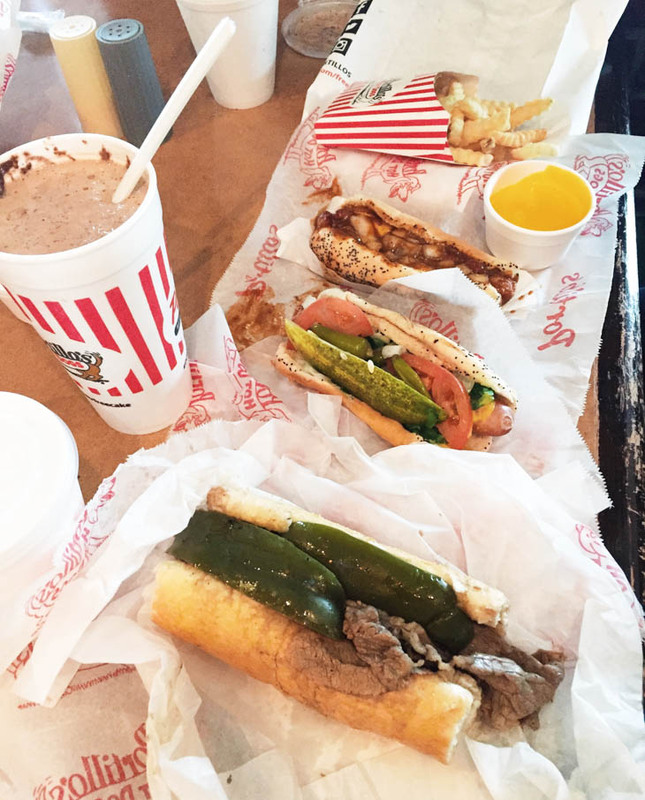 There are many Portillo’s locations, which you can find here. Now unlike the typical hot dog, I loooove pizza. I lived in NYC for three and a half years so I’m pretty loyal to the classic New York slice but was open to trying my first-ever deep dish at this renowned pizza chain. 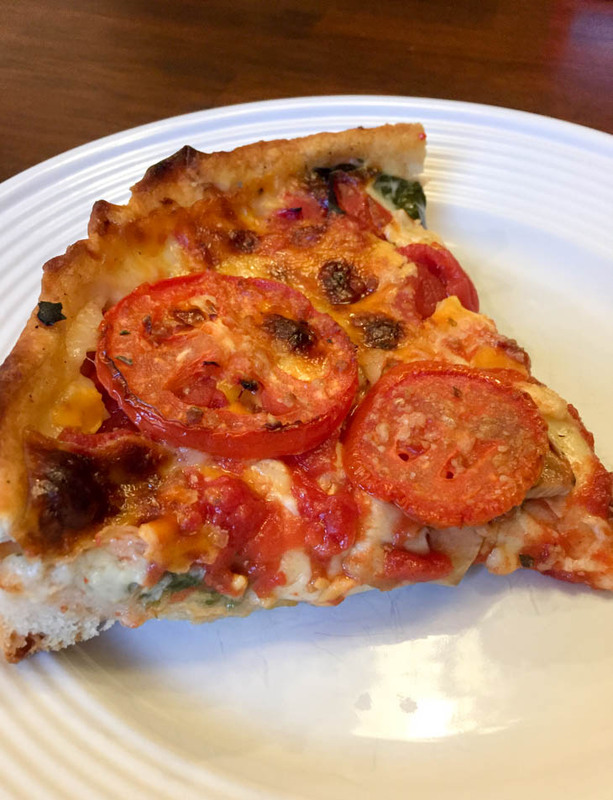 We chose the “The Lou” deep dish pizza with spinach, mushrooms, roma tomatoes, a blend of cheeses and a garlic buttercrust. It was seriously delicious (and filling)! *Note, we also went to a location in the suburbs. Various locations can be found here. 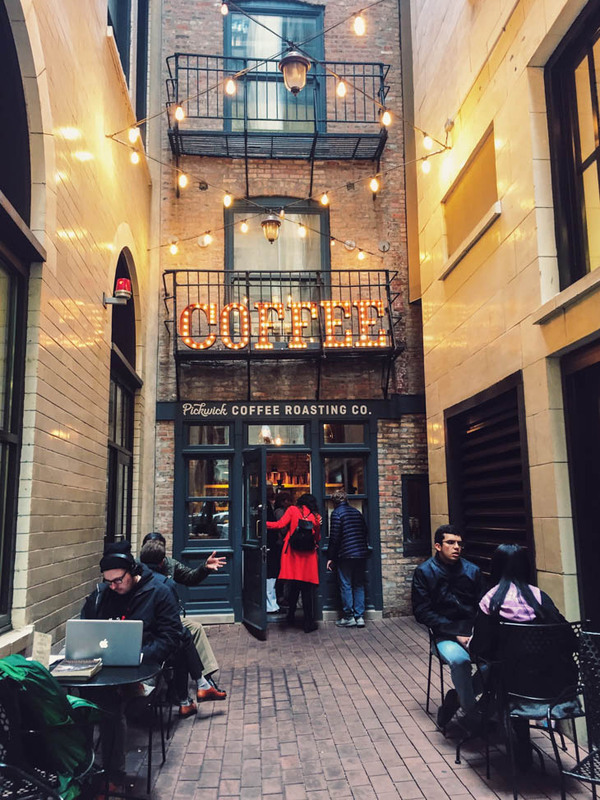 Since it was so cold and rainy (at least for us Floridians), we were thrilled to discover this hidden gem down an alley with interesting coffee and tea offerings. It’s teeny tiny inside, but the hot drink options were abundant! *I’m sad to say this location is now closed. 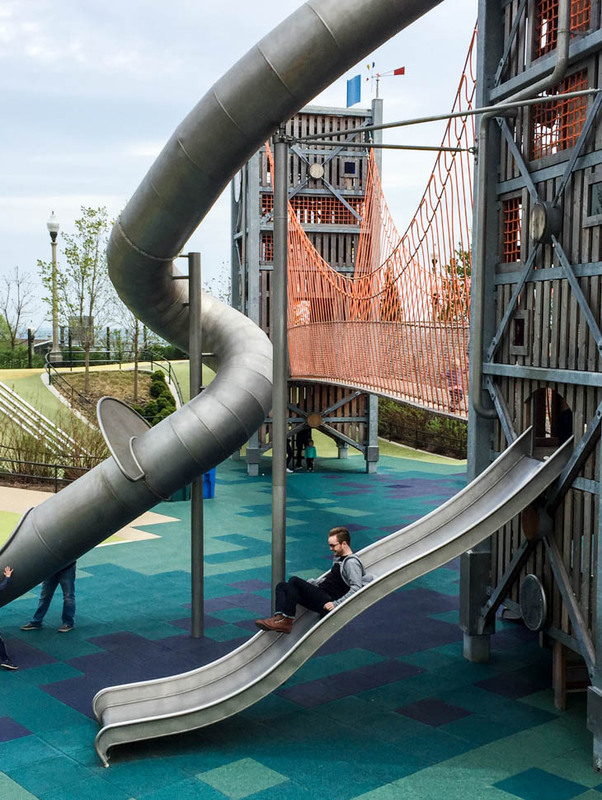 While exploring Millennium Park, we wandered into the modern playground/community area known as Maggie Daley Park. It’s definitely geared toward young kids, but that didn’t stop my boyfriend from going down the slide a few times! Overall I was impressed how well-kept and clean it was for a city park. Cloud Gate a.k.a. "The Bean"
Like a classic Chicago dog and deep dish pizza, The Bean cannot be missed for any first-time visitor to Chicago. 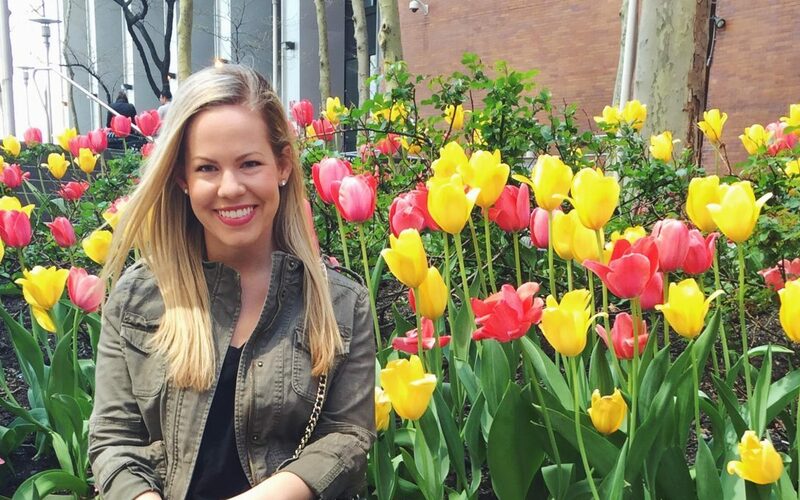 It’s perfectly located to showcase a glimpse of the Chicago skyline in the background or in the mirrored reflection, thus making it such a popular spot for photography of all kinds (selfie sticks, I’m looking at you!). I was surprised by how many people have great close-up mirror pictures of themselves, because when we went it was so dirty with fingerprints! Nonetheless, an iconic Chicago view worth the crowds. 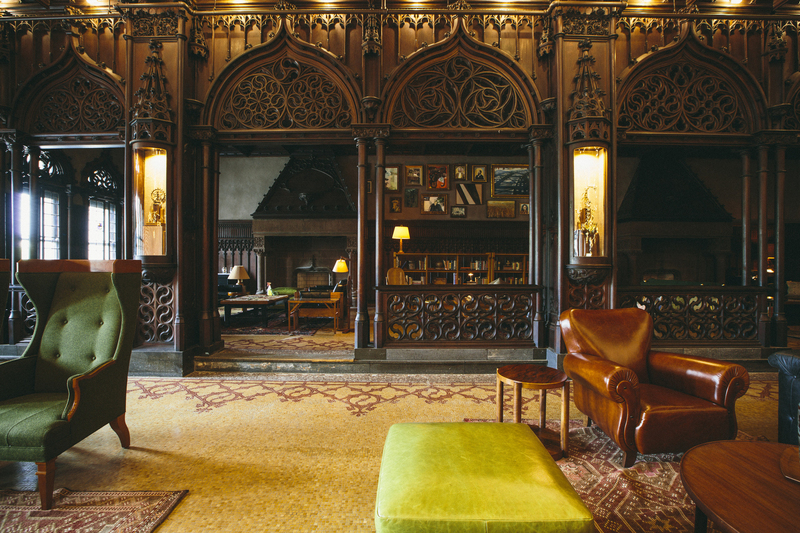 One of our hands down favorite places in Chicago was the Chicago Athletic Association. Well, not the hotel itself. It is home to the Drawing Room, Game Room, Milk Room and Cherry Circle Room. We started out in the Game Room for happy hour. 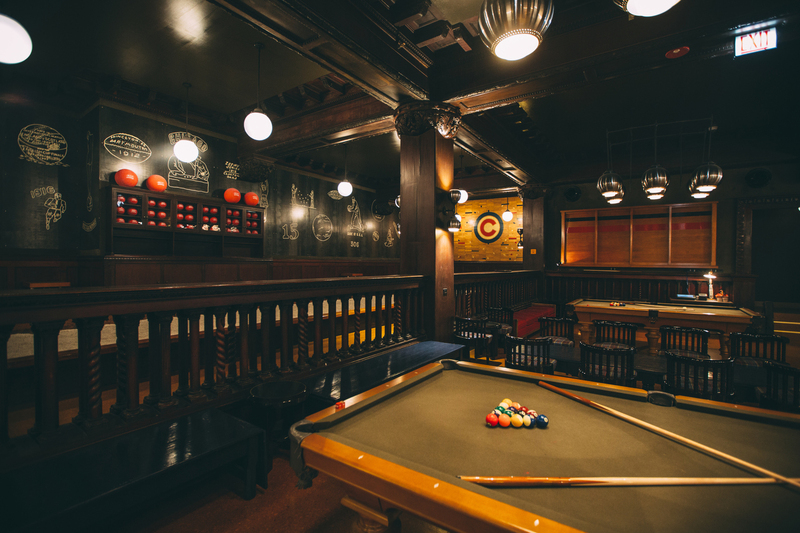 It’s one large open room filled with pool tables, bocce ball, foosball, shuffleboard, cards, chess/checkers tables and a bar. It was really busy and a perfect hang out for groups of young professionals! We had a later dinner reservation at Cherry Circle Room, so we moved over to the Drawing Room for a cocktail. It’s a quieter, calmer, more lounge-like room with big windows, people working on their laptops, reading by the windows, on dates or just relaxing like us. When it was time for our dinner reservation at the Cherry Circle Room, we chose to eat at the bar since it was just the two of us. 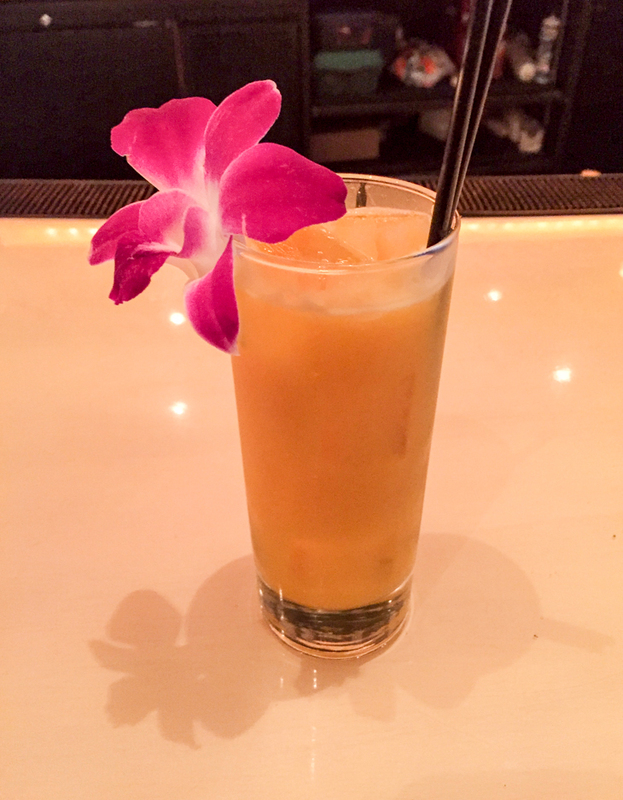 We talked to and instilled our trust in the bartender to create custom drinks for us that turned out to be very unique and amazing! We were pleasantly surprised by how great of mixologists they had. To eat, we ordered the beef tartare with gouda, Brussels sprouts slaw, duck entree and a chocolate mint dessert. Our favorites were the tartare and dessert! Fantastic meal and service from beginning to end. Our fellow diners were mostly made up of a lively older crowd, but it was still very entertaining people watching. The cool vibe at any of these spots within the hotel is not to be missed! Note, we did not make it to Cindy’s Rooftop also located in the hotel, as there was a very long line downstairs after our dinner. It happens! 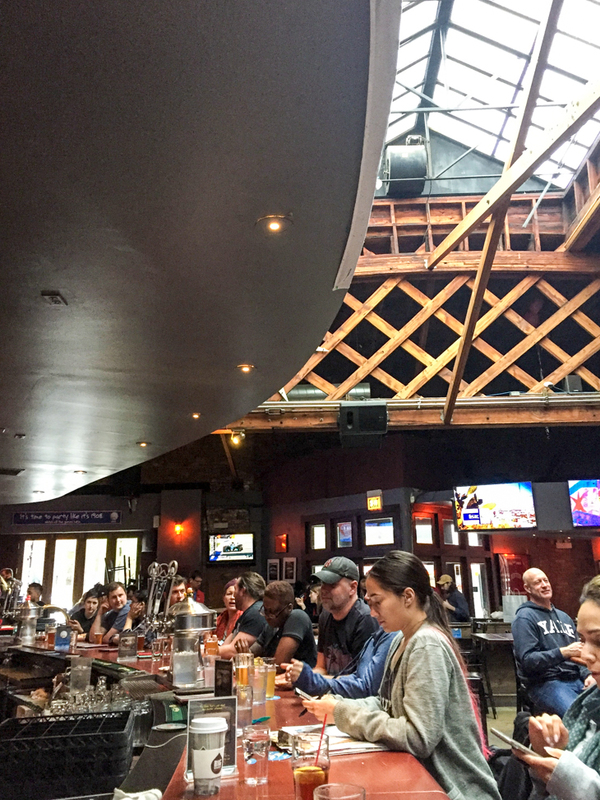 A friend in Orlando recommended this rustic-chic pub in Wicker Park, so we decided to check it out for brunch. We ordered the Eggs Benedict and Duck BLT, which were fantastic, and the Original Sin Pear Cider to pair. It was bright and airy with a hip crowd and awesome bartenders. After our meal, we asked the bartender for recommendations in the area and he drew an entire map for us on receipt paper – pointing out a bar with a ping pong table, a place for flights, a place to eat, the best way to walk around, etc. It was so unexpected that he would take that much effort to help us out, but it made us love the place even more! One of the places the Bangers & Lace bartender recommended was this thin-crust pizza specialist and craft beer sports bar. It was a casual place with a mixed crowd and bustling atmosphere. We ordered the white pizza to share and Golden Arm Kolsch beer for me, Barleywine for him. You really can’t go wrong with anything here! For my birthday dinner, I chose this hip yet unpretentious restaurant with a creative menu and communal tables. We enjoyed the fried broccolini with a light tempura batter & fried cheese, and soft shell crab & cuttlefish ink pasta the most! Everything had a great depth of flavor with high-quality, fresh ingredients. It was packed the whole time we were there, but we got lucky with end seats. There just so happened to be a lot of other birthdays too! For birthday night cocktails, we started out at this posh cocktail bar with chandeliers, velvet tufted couches and a white marble bar. Such a beautiful space! The “future is bright” cocktail was so innovative and delicious. It was refreshing, easy to drink and offered a complex tropical flavor profile (and I’ve had a LOT of tropical drinks!). The bartenders were friendly, talented and incredibly welcoming. It would be a great spot to go out with the girls, but was equally enjoyed by my boyfriend and I looking to celebrate. Tucked away at the end of a cobblestone alley and up a few steps between Nellcote and Green House Smoke Meats was this cozy champagne bar. 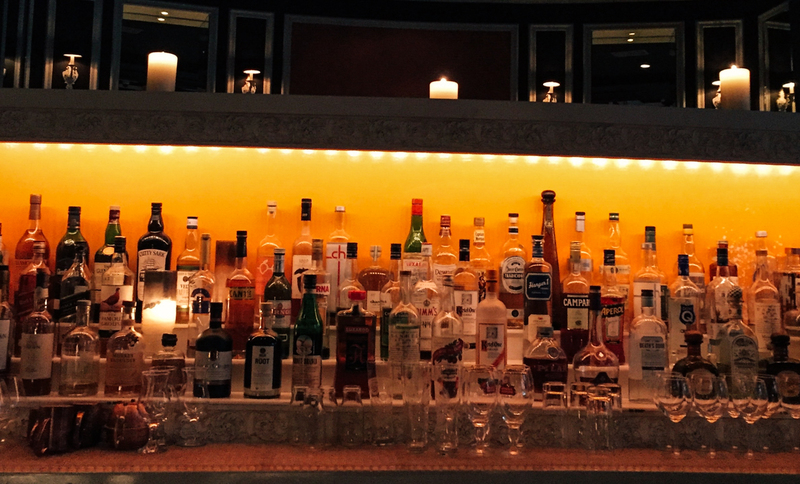 It can also be accessed through a hallway in the back of Nellcote. It describes itself as a speakeasy from the outside and lively French bistro from the inside, which I completely agree with! It was dark and candlelit with a marble fireplace in the dining area, antique mirrors and indie music. It was a perfect escape from the cold, pouring rain and a romantic end to perfect day! Located in downtown Chicago's trendy River North neighborhood where you can enjoy the city's restaurants, shops, and nightlife. 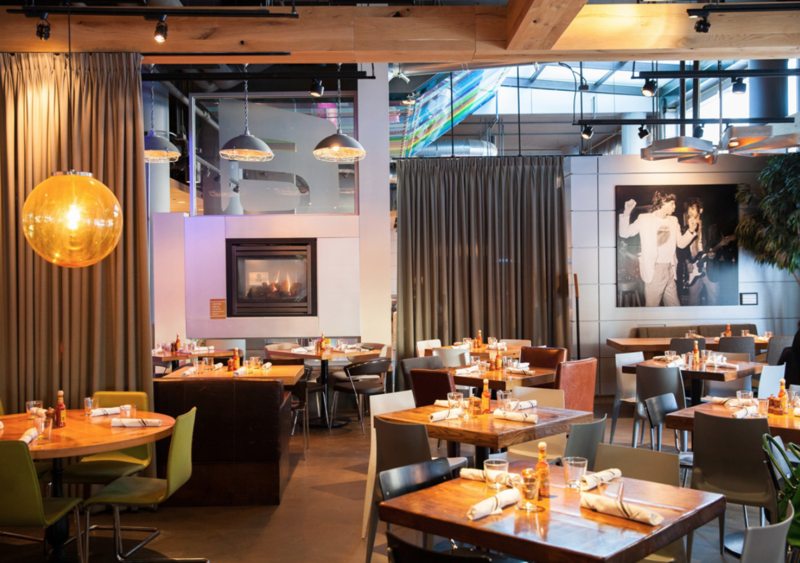 Modern, all-day venue combining an American eatery, wine & cocktail bar & a bakery/cafe. 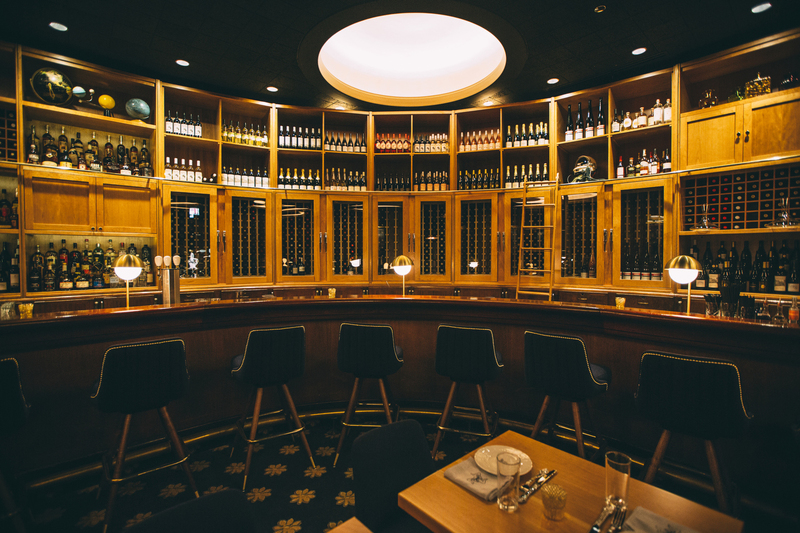 Modern operation inside Chicago Athletic Hotel offering seasonal house cocktails & a refined menu. Lou Malnati's Pizzeria is an American Chicago-style pizza restaurant chain headquartered in Northbrook, Illinois. 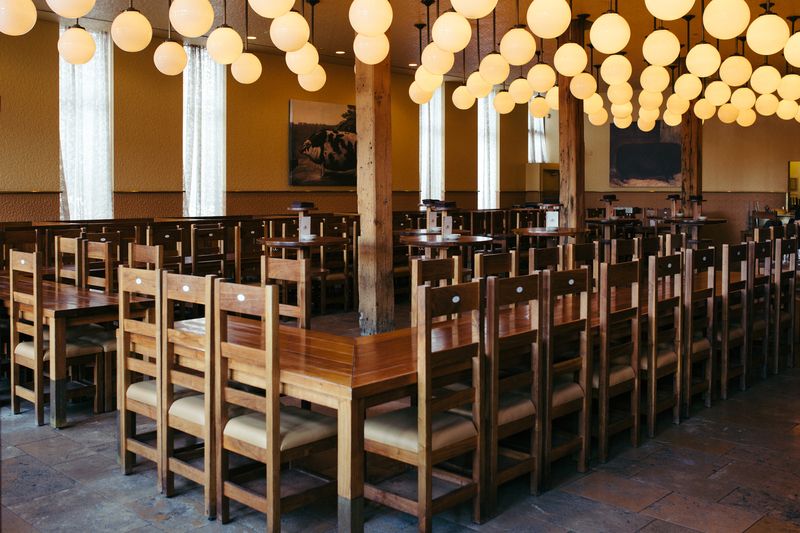 A creative seafood & pork-focused menu plus global brews in a hip setting with communal tables. Retro cocktail lounge in Chicago Athletic Association Hotel with a bocce ball bay, billiards & more. Ornate hangout serving American fare, coffee & cocktails at the Chicago Athletic Association Hotel. 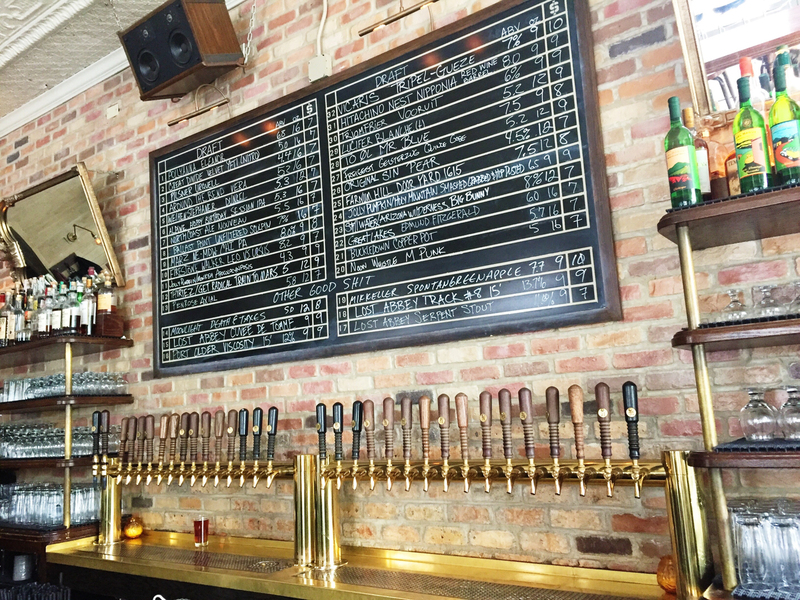 Elevated pub grub including sausages pairs with lots of brews at this rustic-chic hangout. 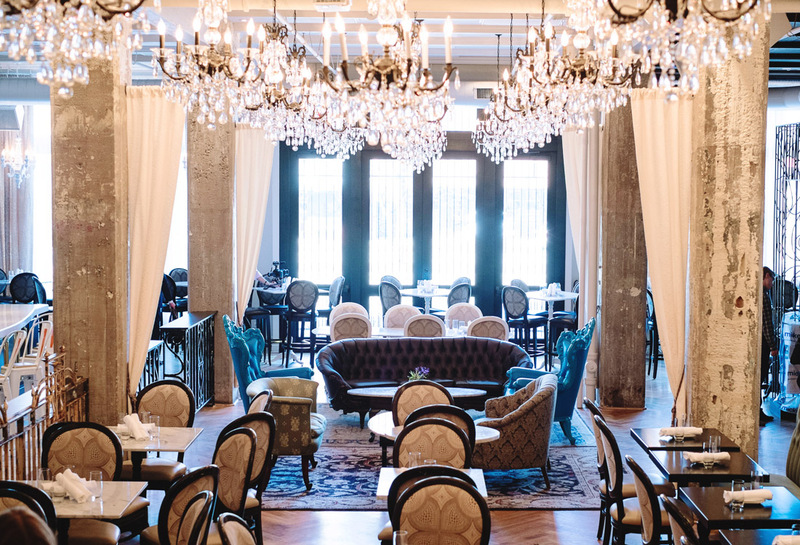 European-inspired small plates & cocktails in a posh setting with chandeliers & white marble. 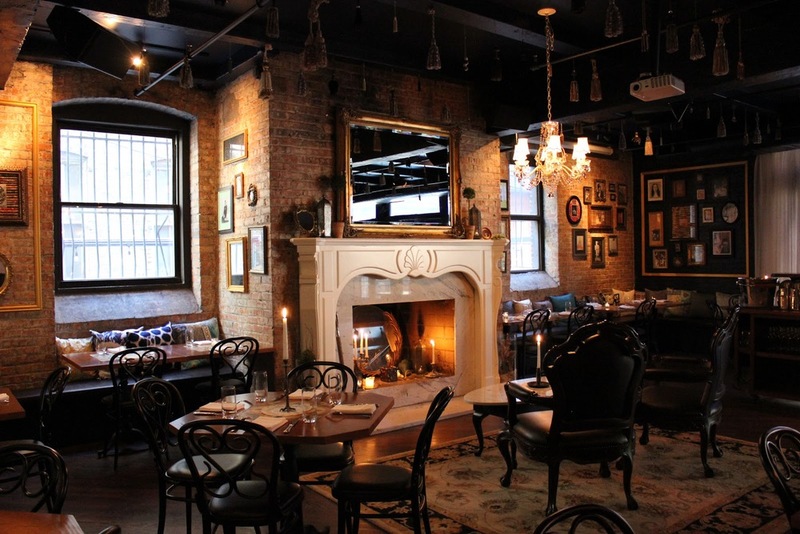 Champagne bar serving New American small plates in a setting with a marble fireplace & chandeliers. A 20-acre public park in the Loop community area of Chicago. 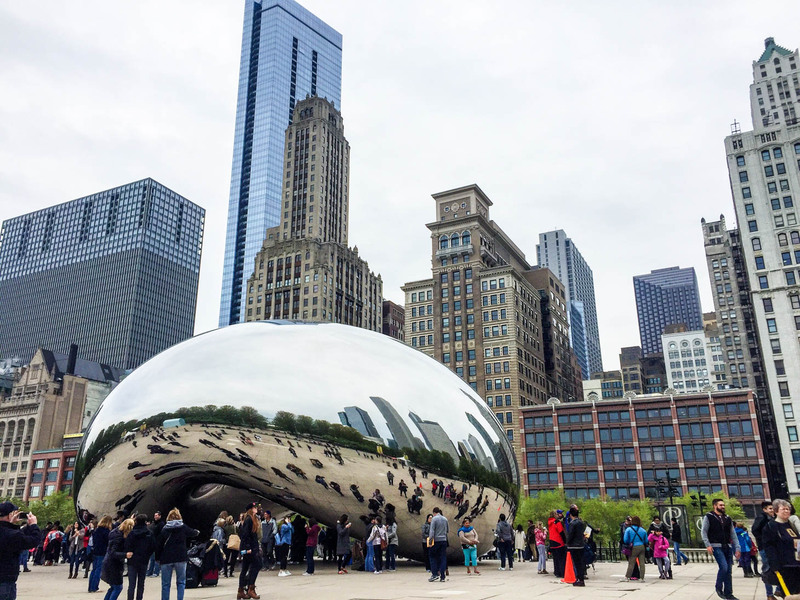 A public sculpture by Indian-born British artist Sir Anish Kapoor that is the centerpiece of AT&T Plaza at Millennium Park in the Loop community area. 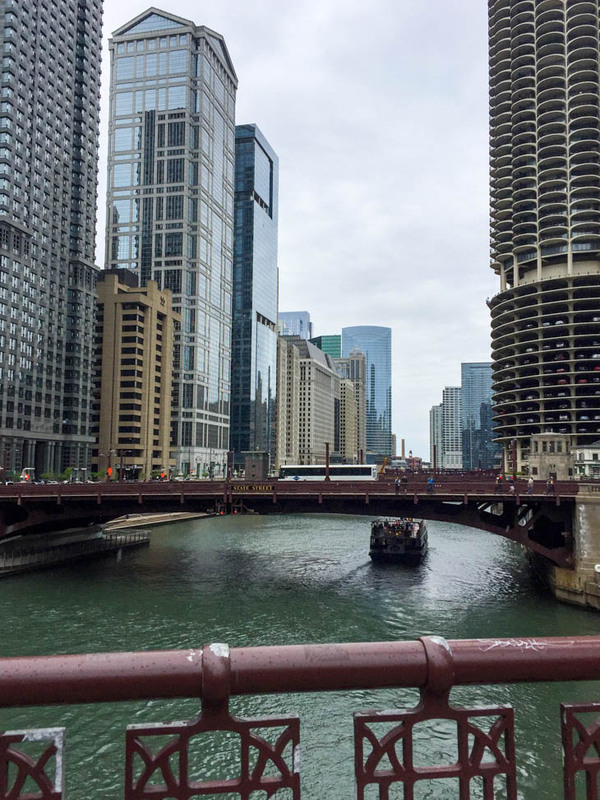 Highly trained and passionate volunteer docents provide a detailed narrative of Chicago's various architectural styles and the stories of the people who designed and built the city.